Located north of Wisconsin state line on county rd. 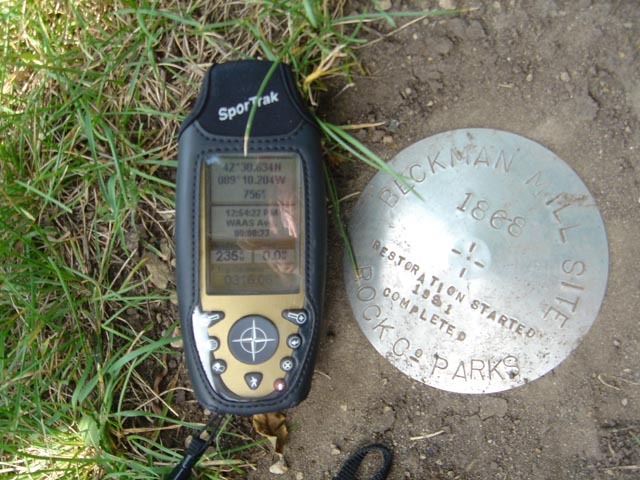 H Coordinates Lat N 42:30':634" Lon W 89:10':204"
Constructed in 1868 by William How, the How~Beckman grist mill stands along Raccoon Creek where a distillery and sawmill were once located. In 1882 the Beckman family purchased the property. 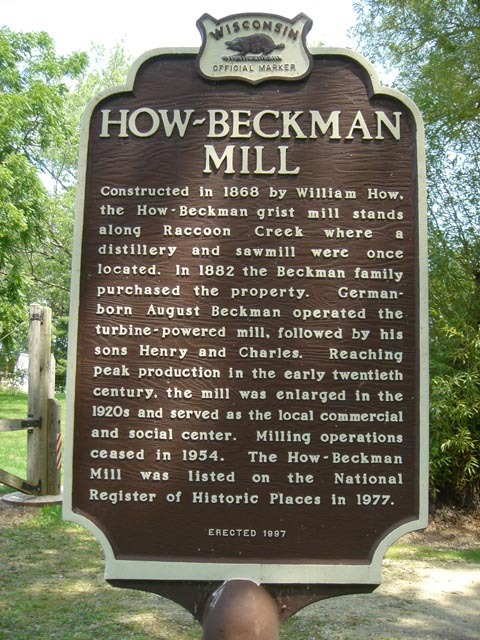 German born August Beckman operated the turbine~powered mill, followed by his sons Henry and Charles. Reaching peak production in the early twentieth century, the mill was enlarged in the 1920s and served as the local commercial and social center. Milling operations ceased in 1954. 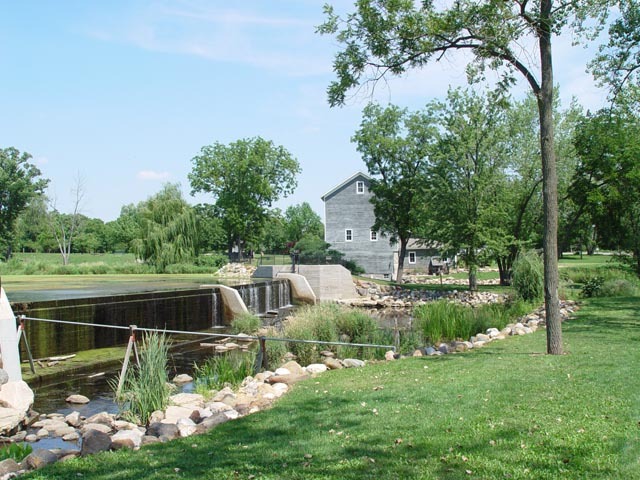 The How~Beckman Mill was listed on the National Register of Historic Places in 1977.